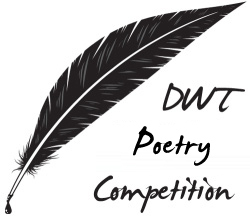 Time for another round of the DWT Poetry Competition. If you want to check the previous rounds just visit the Competitions category page. Previous rounds got over 200 votes each, so thanks for all the readers who are taking the time to read the poems and vote on their favorites. As usual we have some thoughtful poems today, so check them out. He paces floors, forehead in hand. And four hours crawl to an end. Worshiped Christ as they came near. Manger cot, what Joy: it’s Him! They were searching for a Star. Led them on with Hope, Truth, Light. Found Jesus, Savior for all mankind. Came Good News for everyone. Sent from God, Savior mild. Jesus Christ, God’s Son, Divine. Vivid dream that I remember. Standing atop a circus trapeze pole—tall, very slender, very scary. I dove off of the platform. Flying down very fast to save a woman. Trying to save others from killing themselves—I can’t. Crying “Lord help me, lest I fall and be no more. heavy with secrets to confess in metered lines. like the hand wave of a queen tossed at crowds. the voice within that begged her time. she had experienced once and needed to write down. of sorts. She hoped they would find her in those verses. She’d go to sleep and dream herself away. mother, wife, friend, neighbor, recorder of dreams. What, they’ll ask, took her from us? She seemed fine. they will be comforted and treasure those words she touched. for the stuff, it saves her eating a bar from the local shop. Are we going to the woods, mum? the shrilling bell announcing her appearance on the CCTV. and her fingers linger over the chocolate bars. No. Not today. She has that stuff in the fridge. Here it is calm and serene. “You regret it then?” God asked. I saw a daffodil and a seagull. I ate an apple and smelled bread baking. After reading these poems and voting, I saw that Mr. Burnett had the lead of about 30 votes when I cast my vote. While refreshing the page (about 5 minutes later), I see he now has 93 votes. Personally, I find it difficult to believe that someone can gain an upwards of 60 votes in five minutes–maybe Mr. Burnett has a lot of friends–I don’t know. Statistically speaking, it seems questionable when the next leading contenders are at 20 and 10 votes, respectively. I like #10. It is so easy to see all that is wrong with our world, but yes, there are seagulls, warm bread, children, and sunsets. Nice work, Claire. I hope you will think of a title for it. Loved the mustache… I voted a bit prematurely, before reading the others…but I really liked it so my vote is cast. @Trisha, keep in mind that over 30,000 people received an email with a link to the competition just when you did, so it is very likely that you caught the “rush hour” of voting. We haven’t had problems in past competitions, and I really like to think that no one would cheat to win a small poetry competition like ours. I hope you are right, Daniel. I was thinking that it was really nice this time that at least during the first four rounds, there hasn’t been a “stuffing of the ballot boxes” like we all had suspected during the last story contest. We were averaging around 200-some votes per round. Be that as it may – it is still a great competition! As writers we feel a certain vulnerability as we toss our poems and stories out there. I always appreciate the comments, suggestions, and constructive criticisms. This doesn’t seem fair to me. I think poems should load randomly. Look at the numbers of the first poem. It’s so long, that the odds are people will not read all poems on the page. Do you agree? @trisha and @tmg: I am flattered by any amount of votes for my poem, few or many. By the time I saw it was up, it already had about 100 votes (which was quite a surprise). I certainly hope there has been no “stuffing.” What’s the fun in that? I wrote my poem for my daughter and entered it with the hope that someone else would get a kick out of it, and not because I thought I’d win anything. In any case, thanks to Daniel for giving us a forum for sharing. I loved the flow and the imagery of #3. Having a father that has played piano all of his life, set in scenes just like this one, it was very reminiscent and I thought very well written. @Alan, that should have no influence. On round three, the poem number 10 won, and on round four the one on the 9th position. I noted trish’s comments re the jump in votes and noted that when I voted Garrett had a 2% lead but during the next two hours he quickly fell behind by 90 votes or more. You stated “Personally, I find it difficult to believe that someone can gain an upwards of 60 votes in five minutes–maybe Mr. Burnett has a lot of friends–I don’t know. Statistically speaking, it seems questionable when the next leading contenders are at 20 and 10 votes, respectively.” Since S. Winter-Hudelson is now 2% ahead and made the same jump and %margin, I can only assume that it is believeable and statisically possible. As a barroom officianado of smoke-filled rooms of sexual cultural repression from stupors of barley and hops in a frenzied self-fulfilled prophecy of “Whiskey River Take My Mind,” I must admit Ms. Hudelson’s poem takes me back to less interesting days as a U.S. Marine in Barstow, CA’s “California Country” where, not only was I a witness to what she describes, I no doubt (if I could remember as I was in a stupor of barley and hops) was one of the actors. Nicely put in verse. As a middle aged woman, I found the first line of the Mustache a bit off-putting and couldn’t finish the poem! I’ll try again to read it knowing it was written to a little girl, but it’s gross thinking about women with mustaches.